Android Marshmallow 6.0 is the new Android operating system which has been launched with the new Nexus devices 6P and 5X. Currently, it is only ready for use for the new launched Google devices, and it will be available for Nexus 6 and 5 on 5 October. HTC also going to launch a new device with Android Marshmallow in coming October 20. This is still a rumor because Google has not given any update yet. Lollipop is a very popular mobile OS which has many unique features. 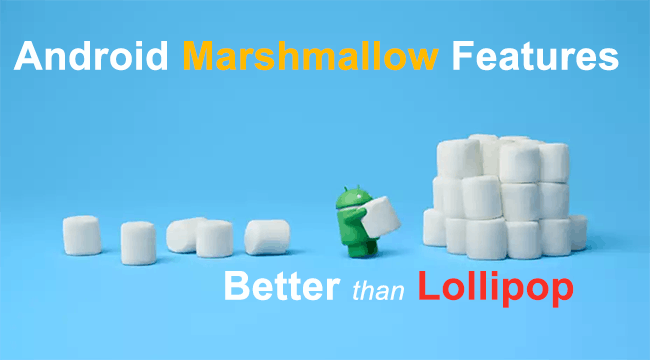 Marshmallow has 36 additional features than Lollipop, which are quite impressive. Let’s know 36 new Android Marshmallow features, which are not present in Lollipop. App Permission: Now the users will be able to decide how to give permission to an app. A rooted mobile has the capability to do like this, but you’ll get it by default. This feature would help the users to protect their privacy. Advance Permission Control: This feature would help you to give permission not only user installed apps, but also preinstalled apps. Doze: When your device would be in rest mode, doze will turn it into sleep mode. This will save your device battery. 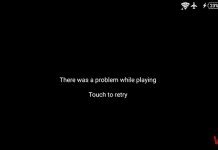 App Standby: Marshmallow also has a standby mode. The user can set apps to standby state, which are not frequently using. USB Type-C Support: Now faster data transfer will be possible through USB Type-C.
Fingerprint Sensor: Android M has a standard fingerprint sensor to increase your device security. Google Now: Google Now will be accessed from any screen. For example, at the time of using a web browser, you can also access Google Now by long pressing the home key. Voice Power: Users now can set a unique voice dialogue for each app. Verify Boot: Whenever your device will restart, it will warn you that your device is modified from original version or not. Direct Share: Android 6.0 users will be able to share the files directly through the app. Fast Multitasking: Marshmallow uses less memory to give better performance in multitasking. Bluetooth Stylus Support: It has also Bluetooth stylus support, which helps to recognize better pressure sensitivity. Duplex Printing Support: M comes with duplex printing support, which is able to print in both sides. 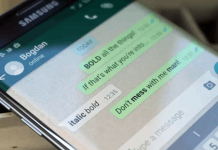 Text Improvements: New OS has built-in Smart Text selection, undo-redo options, etc. Quick translate: User now can able to translate selected texts instantly and quickly. Easy DND: With the help of quick settings, users can be easily activated DND. Intelligent DND: If you will get a call twice in 15 minutes or more, the operating system will ask you about the user to activate the DND. Automatic Rules: DND users can also use the automatic rules. It can be set several custom time block. App Links: Installed apps will automatically facilities to handle your URL. Instead of mobile sites, users can work directly in the app. Easy Volume Control: User Notifications, music, and all kinds of alarms can be easily controlled by the volume key. Hotspot 2.0: The Wi-Fi compatible network will be connected in more secure ways. Bluetooth SPA: Which users have carphone, they can use their SIM to make calls directly. BLE: Bluetooth Low Energy feature will save your device energy. Refreshed Google Now Launcher: New launcher has alphabet app scrolling and predictive app suggestion features. Streamline Settings: Users can manage all settings in one place, like battery usage, notification, permission, etc. 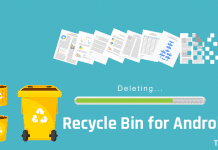 Auto Backup: For apps, Android M has an auto-backup facility. New Frequency: In Android Marshmallow portable Wi-Fi hotspot will be able to support the 5GHz frequency bands. Better Transfer: Users can easily transfer accounts, apps and data to another device. Flexible Storage: Apps and games data can easily store on the SD card. Additional Account Support: At the time of setup, users can add their additional email accounts on it. VPN: It stands for virtual private network. Now user can easily configure it as their requirements from Settings >> More >> VPN. Additional System Settings Backup/Restore: Synchronized Settings, preferred applications, DND settings etc. can be easily backed up and they can be easily restored. Better Details: At the time of a call or reading a message, users can now able to view contact details of the whole work. MIDI Support: By using a USB MIDI device, users can create music, consume and perform. Work Station Notification: Briefcase icon will be available in the status bar If you are accessing the phone from your professional ID. New Languages: Android’s latest version Marshmallow now comes with more than 70 languages. The Gujarati, Azerbaijani, Kazakh, Russian, Urdu and Uzbek are included. These are the 36 new Android Marshmallow features which are not present in Android Lollipop.